The Presidential Commission for the Study of Bioethical Issues is an advisory panel that counsels the President on bioethical issues in light of scientific and medical advances. Most recently, the panel published Gray Matters: Integrative Approaches for Neuroscience, Ethics, and Society as a part of the Brain Research through Advancing Innovative Neurotechnologies (BRAIN) Initiative. 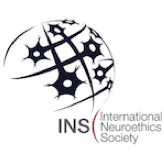 This document touched on relevant ethical issues related to neuroscience and made recommendations for integrating ethics into various facets of neuroscience research, education, and policy making. On June 9–10, 2014, a public meeting of the President’s Commission for the Study of Bioethical Issues will be taking place at Emory University in the Rollins School of Public Health Building. The complete agenda is listed here, but the Commission will discuss the BRAIN Initiative and current work taking place in the field of neuroscience. Watch the live webcast and follow AJOB Neuroscience on Twitter if you are unable to attend!